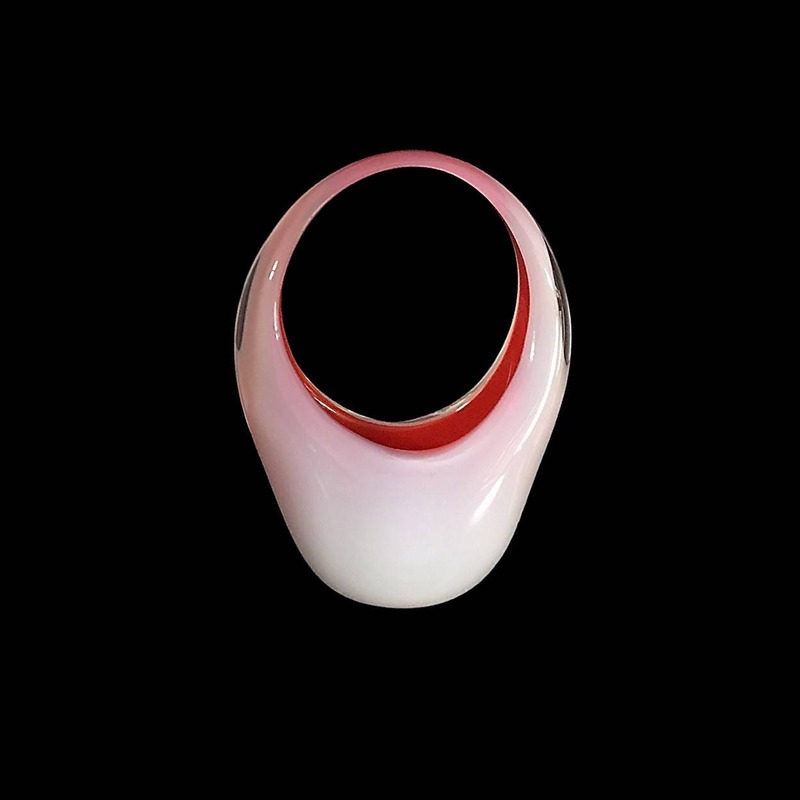 Feast your eyes on this extraordinary piece of mid-century Italian/Murano art glass documented in Leslie Pina's FRATELLI TOSO. This breathtaking vase/basket/sculpture is amazing in its complexity--the opalescent lattimo, pink and oranges shift in the changing of the light. Aside from the base wear expected on this heavy piece, no damage whatsoever! Give an object of art and beauty that will increase in value and yet can be used everyday!